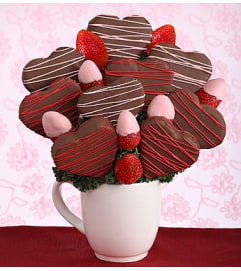 Hey Rover, here’s a holiday treat for your owner. This dog lovers’ holiday gift is filled with fresh fruit, chocolates, and more treats that will make them roll over with joy. 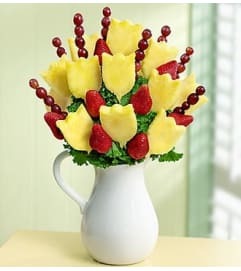 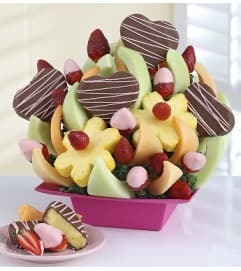 Juicy plain strawberries, dipped and decorated strawberries, orange wedges and pineapple slices are shaped like bones and then rolled in toffee, paw pops, pineapple slices shaped like daisies with a grape center and more. 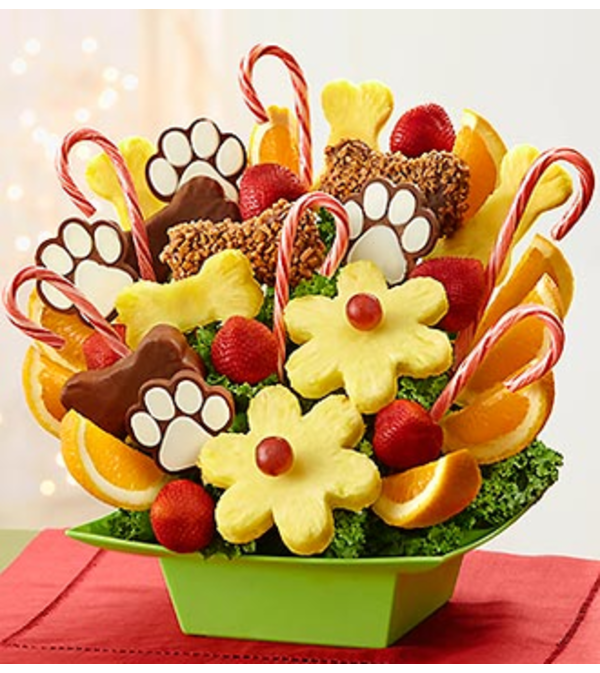 ::::::::This gift was created as a treat for humans, and should not be given to pets.